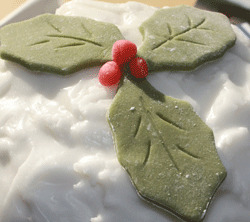 Baking for Christmas is such fun, we believe gluten free Christmas baking should be no different. 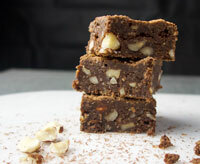 We have created a range of easy gluten free recipes for you for the festive season. 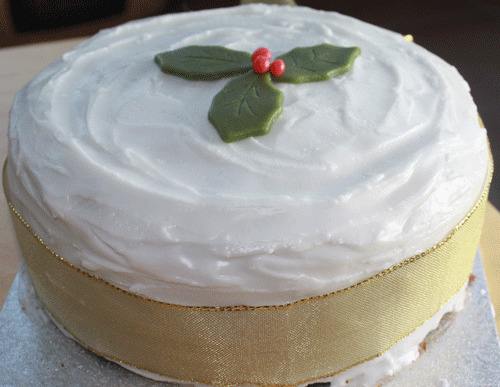 The aim of our gluten free Christmas recipes is that no one can tell they are gluten free. You can happily serve the same great Christmas treats to everyone safe in the knowledge that they taste so good everyone will love them. Using a mix of sultanas, raisins, currants and dried cranberries soaked in alcohol means you get a moist cake that you can eat straight away or keep for months. With its mix of dried fruits, cinnamon, nutmeg, ginger, zesty lemon and orange, ground almonds and sticky treacle you get a more-ish cake that no one can tell is gluten free. All your family and friends will love to share this cake over the festive season. Gluten free Christmas baking wouldn’t be complete without some tasty Christmas cookies. These delicious Gluten Free Christmas Cookies are a satisfyingly soft ginger cookie. 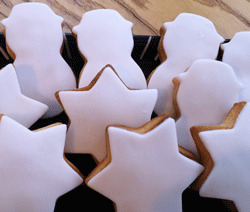 They are a great Christmas treat that is a hit with all ages. We always make a mix of iced and non-iced to satisfy all tastes. Christmas mince pies are a delicious traditional British Christmas treat. Tasty individual sweet pies full of succulent spiced dried fruits. Try our easy gluten free recipe for gluten free Christmas mince pies. Using our scrumptious gluten free pie crust filled with full-of-flavour mincemeat, treats don’t come much better than this. Our recipe includes how to make your own mincemeat if you would rather not use shop bought. It is surprisingly easy to do. It is best made in advance to allow the flavors to infuse. When making any of our easy gluten free recipes following a few simple rules will ensure your gluten free Christmas baking will stay gluten free, we have some easy to follow tips on our Avoiding Gluten page.